Has anyone else been following the Robert Durst media. Very strange and very true. HBO documentary series........ The Jinx. The feature film.... All Good Things. And all over the news at the moment. The director...... Andrew Jarecki hit a ****ing home run with the interview. no but I will look into it. If you have HBOGO.... you could watch all 6 episodes tonight. I would recommend avoiding the news about the story.... huge SPOILER ALERT !! this is the architect who murdered people and confessed? An annoyed parent is seeking a lawyer to start a class-action lawsuit against Microsoft after his child spent $4,500 on microtransations in FIFA. In Ultimate Team mode you can buy packs of players with either in-game money, or actual money. One parent found thousands of dollars worth of charges on his credit card and is angered that Microsoft has denied compensation. Writing in a post on Medium, he says that he and his wife take the blame for not paying more attention, however he wants Microsoft to supply better parental controls. "If Microsoft wanted to spare thousands of parents from frustration, anger and sometimes, serious financial consequences then it could find a hundred ways to do it. It has just chosen not to." I related news I learned the hard way (not $4500 hard but $50 hard) that on Sony even though my card was entered on my master account only, if a sub account tried to buy something while at a friends house that it would link to my card and let the sale go through. Sony wasn't the least bit interested in giving me a refund either. Ever since then, when I make purchases, I immediately follow up and delete my card information from the console. I also changed everyone's passwords and set every account to require a password before allowing any purchases just in case I one day slip on deleting that card information. Since I'm the only one that knows the passwords, nobody can buy anything without my knowledge again. there needs to be better ways to only alone the owner of the account to process a payment. I agree. What makes matters worse is even though they charged my account, they sent the "thankyou for your purchase" email to the sub account email. Had I not been checking my account online, I would have never known about it. That's just bad business practice if you ask me. I'd imagine at some point they like everyone else that's offered similar services with similar bad results (ie ITunes) will end up facing some rather public scrutiny and find themselves refunding a whole lot of people once the courts force their hands. THIS wedding cake, well, takes the cake. A happy Victorian couple celebrated their special day with a life-size Nintendo console cake over the weekend. “No-one believed it was a cake until it was cut up and served to them,” bride Vanessa Harding said. Vanessa and her new husband Chris have been together over 10 years, and say that Nintendo was one of the first things they ever bonded over. “We spent hours playing Tetris when we first started dating 10 years ago. But our favourite game would have to be Super Mario Bros. 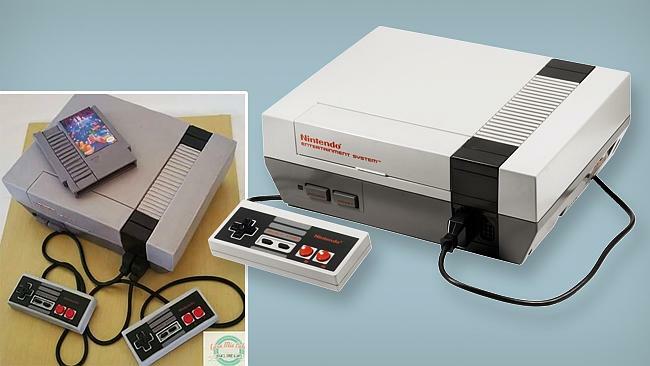 I first got the Nintendo NES when I was a kid and I still have it today. The cake vs the real thing. The masterpiece was created by Cara Tonkin from Cara Mia Cakes in Geelong. So, what is actually inside a life-size Nintendo cake? “It’s a chocolate cake, filled with a cookies and cream white chocolate ganache,” Cara Mia Cake says on its Facebook page. Amazing on the outside, even better on the inside — as all the guests at the Yarra Valley wedding will confirm, with every last piece being eaten. 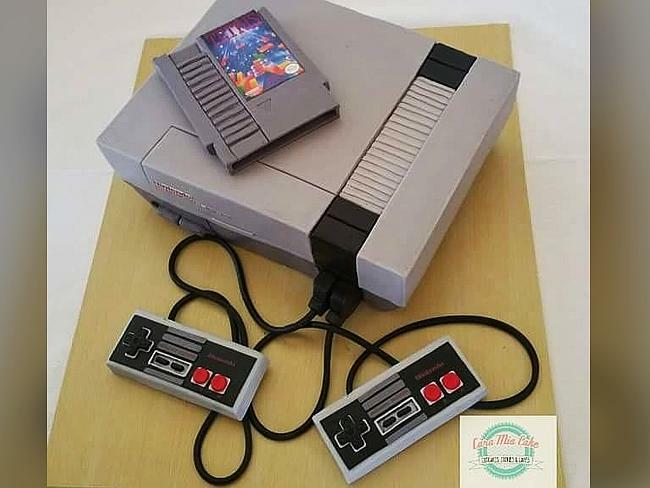 “I think that's a first in wedding cake history, but we did keep the controllers and tetris game on top,” Mrs Harding says.